Tru Power Engine Kit. 6-Cylinder Diesel, 401 CID, 4.4 inch Standard Bore. Engine Overhaul Kit. Contains .020 inch oversized pistons & rings, complete gasket set, pin bushings, cam bearings, intake & exhaust valves, springs, valve keys. Standard rod & main bearings. 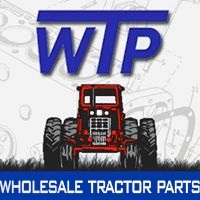 For 8700 Tractors (8/1976-1978) TW10 Tractors (1979-1982).